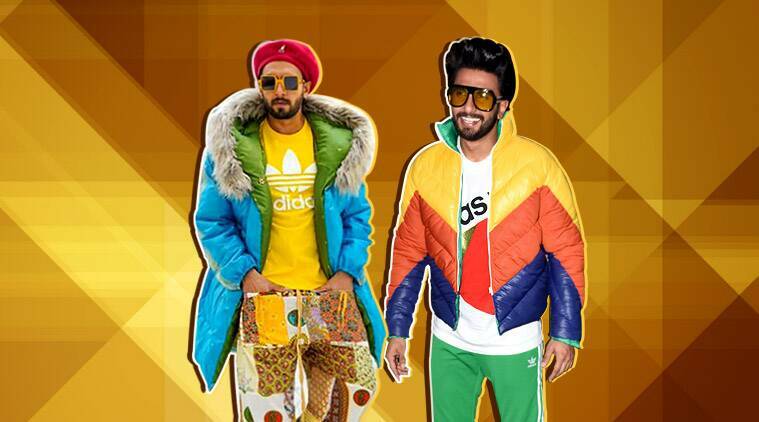 Trust Ranveer Singh to add colour to his life with his clothes! The actor who is busy with Gully Boy promotions has always had an unconventional sense of style and this time he took his fashion game up a notch with his vibrant designer outfits. Dressed in an aqua blue and green parka jacket with a faux fur collar, the actor grabbed attention by pairing it with a bright yellow Adidas tee, a pattered boho pyjama and teal coloured shoes. A gorgeous pair of yellow-rim square glasses and a vibrant red Che Guevara beret cap rounded out his look. People on social media have likened his outfit to that of a Macaw but we like what we see. Only Singh could have pulled it off with so much ease. For another appearance, he picked a pair of green pants that he teamed with a white and red Adidas T-shirt and layered it with a multicoloured puffer jacket. We love how he rounded it out with a pair of colourful angel wing shoes. From his challenging movie roles to his daring fashion choices, Singh manages to ruffle feathers.